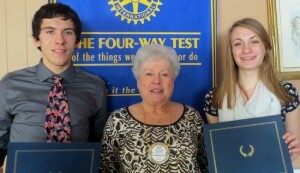 FULTON, NY – Each month, the Fulton Rotary Club invites two seniors from Fulton High School to share lunch and ideas. 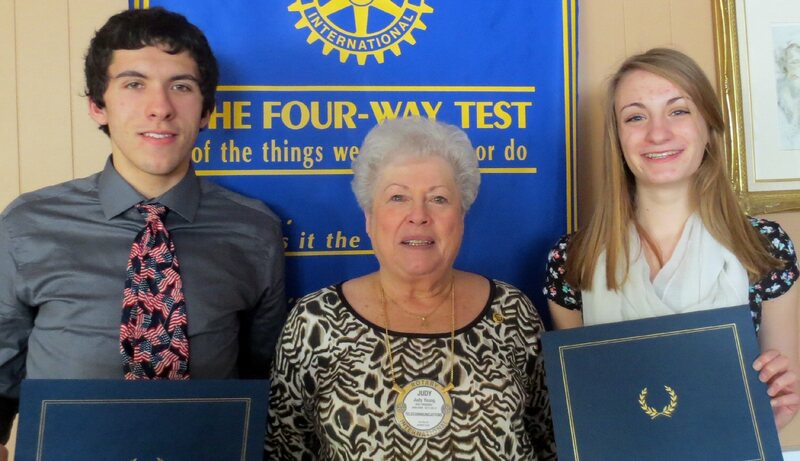 This month, Geoffry Michaels and Alexia Abelgore were introduced by Judy Young, youth chair for the club. Both students are seniors at GRB, members of the National Honor Society and both work at McDonald’s. Geoffrey enjoys track and cross-country. He is planning on attending ESF to study the environment and hopefully make some lasting improvement in its quality. On the other hand, Alexia is also a very busy senior. She’s very active in drama, with her church and helping out with breast cancer awareness. Alexia will be attending SUNY Oswego to major in broadcasting.